About | Nagamine Okawa Engineers Inc.
Our engineering group is comprised of engineers, drafters, inspectors, technicians and administrative personnel. We pride ourselves in the quality service we provide to our clients and work together as a team to get the job done. We work hard and play hard and like to think of ourselves as an energetic group. We enjoy monthly company lunches, annual bowling outings, company retreats, and pumpkin carving contests. We are more than just co-workers, we look out for each other and really are like family. NOEI is proud to embrace a corporate culture of teamwork and excellence in craftsmanship. This culture is reflected as our leadership and staff support and work together to achieve our Client’s goals. Our staff is encouraged to continue growing and learning in each of their disciplines as nothing in our industry is static. We encourage independent thinking with an emphasis on continuing to be a contributing team member. Many of our staff are cross-trained. For example, engineers design buildings as well as inspect bridges; drafters produce drawings and also support marketing efforts. All these efforts allow NOEI to be flexible in responding to the needs of our Clients. We prepare, strategize and implement with the best interest of our Client and community in mind. A byproduct of our teamwork culture is the embodiment of Ohana. Not only is our staff treated as family, but our community as well. 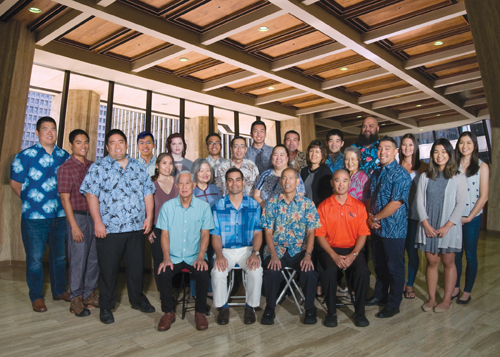 Our roots to the Hawaiian Islands run deep, as our Leadership is home grown from Hilo to Pearl City, Hawaii Kai to the North Shore. This is reflected in our design work as we strive to add value and vision to our designs whether our projects are here in Hawaii or across the ocean in the Far East. We also strive to be active members of our community. Our team includes youth league coaches, active alumni boosters, and supporters of numerous charitable organizations. Our culture defines us in all that we do at Nagamine Okawa Engineers.